The hottest game of 2017 is certainly revolutionary but requires a lot more work even in its launch state. Whenever I think “Battle Royale”, my mind always goes back to the manga of the same name. Based on the novel by Koushun Takami, Battle Royale focused on some 42 students who had to kill each other as part of a dystopic government act. The students would pick up high powered weapons, form alliances, betray each other, and look for ways to exploit the kill zones and exploding collars to their advantage. However, even if it was the 2000 film by Kenta Fukasaku that saw the franchise explode in popularity, the manga had the biggest impression on me. The sheer brutality of Battle Royale, the no-holds barred approach of Last Man Standing and the personalities involved, each with their own stigmas and traumas, created one big melting pot of murder and intrigue. 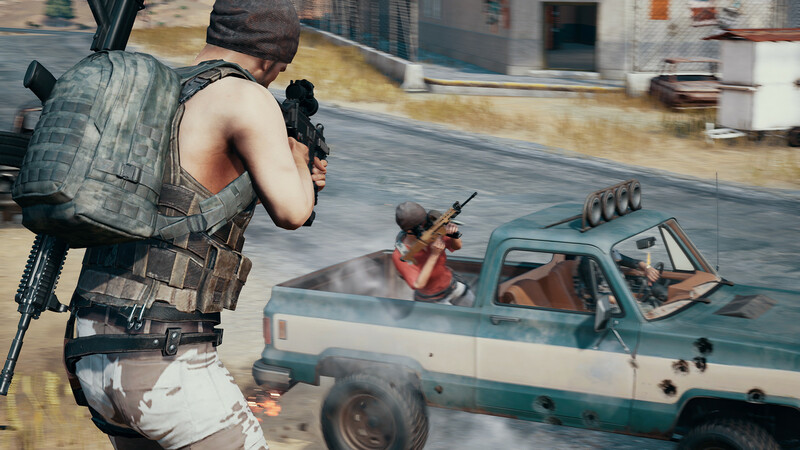 "As an experience, PUBG cuts much of the superfluous survival seen in games like Rust and DayZ." Over the years, it’s been common to see the Battle Royale format replicated, specifically in the Hunger Games trilogy of books and films. 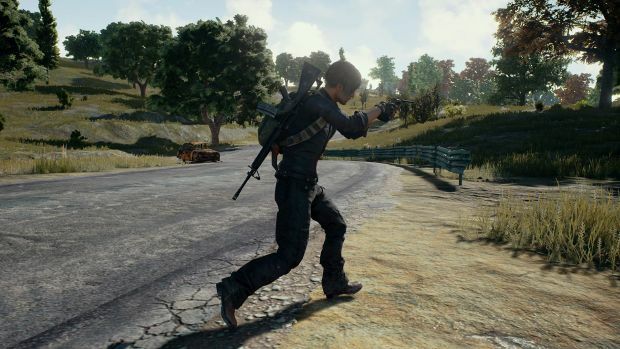 The gaming space hadn’t really seen much of that, aside from mods like Last Man Standing in Arma and H1Z1, until PlayerUnknown’s Battlegrounds landed in Steam Early Access last year. PlayerUnknown’s Battlegrounds has heralded a revolution of sorts and created clones that challenge its status rather well. Now that PUBG is finally in its 1.0 release state though, does it truly justify all the hype? 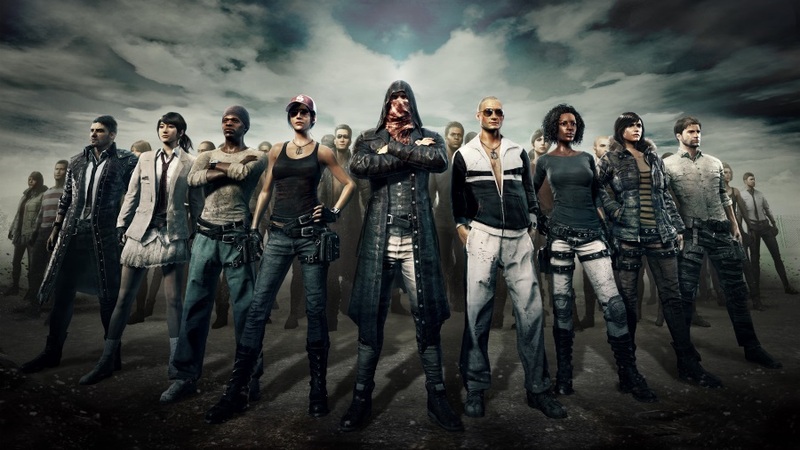 Before we look into that, it’s first important to separate PlayerUnknown’s Battlegrounds The Experience from PlayerUnknown’s Battlegrounds The Game. As an experience, PUBG cuts much of the superfluous survival seen in games like Rust and DayZ. It drops 100 players into a vast land and challenges them to kill each other. If you’re not looting for supplies, you’re outrunning the big blue wall of death that’s always on your tail. The balance between staying in an area, challenging any potential opponents while scouring for weapons, and staying on the move is handled extremely well. There are so many random elements at play, from where you drop to how you enter a specific location, that can contribute to your success. Say an enemy drops near you but is closer to the warehouse in front. Pursuing them and trying to net a kill, especially when they have a head start, is pointless. You might stand a chance if you visit the house right next to you and maybe lay low while your opponent ventures out into the grassland. It’s also highly likely that you’ll be shot while looting a corpse. Maybe you’re smart enough to lay low when vehicles pass but maybe you’re just as likely to get run over. Over time, as you memorize locations and wait for the perfect opportunities, the game truly begins to open up. It can be exciting and tense, especially when a fairly risky play pays off. "Map design can always be a contentious element in multiplayer shooters and it’s even more so in PUBG." As a whole, I like how the “risk vs. reward” aspect of the game is handled in the early going. You could land in a densely populated area and pick up some better loot or land far away, scavenge what’s available and spend your time running to the next marked area on your map while avoiding death. Over time, as the player numbers dwindle, it’s only inevitable that the best killers will have to face each other. It’s a match of wits but maybe if you had taken to picking off players in the early going, you could have ensured the more aggressive types weren’t properly geared up. The gameplay is fairly rudimentary in terms of gunplay and movement but it’s still extremely solid. Recoil, range and bullet drop-off on weapons like the AK-47, SK-12 and UMP9 feels just right even if they take getting used to. Vaulting is one of the major new features in PUBG and it’s…fine. Yes, I realize this drastically changes the game for many experienced players. As a whole, I found it to be complimentary to the gameplay but not a huge game-changer. That’s just me though. If I were to compare it to vaulting in other third person games, then it feels weightier and like a more calculated risk. Which isn’t a bad thing by any means, especially as you break into a house and get the drop on an enemy before killing them. Map design can always be a contentious element in multiplayer shooters and it’s even more so in PUBG. 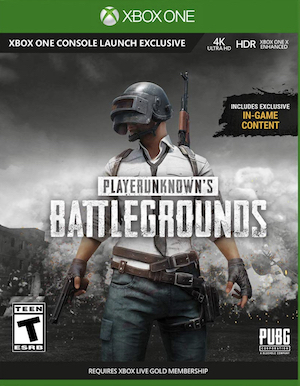 I’ll start off by saying that Erangel is pretty well designed, packed with sprawling green hills that offer great cover for prone shooting, well designed cities with distinguishing characteristics (some may be located near a water body, for instance) and memorable landmarks like Sosnovka Military Base. As a whole, it just feels more varied and interesting. You have your tightly packed cities with overlooking hills, your desolate homes in the middle of nowhere and just enough space in between to keep the journey fun. By comparison, Miramar feels flat and kind of boring. Maybe it’s the fact that most of the water bodies are concentrated on the Southern and Eastern sides of the map and hence don’t break up the monotony in between. There were still plenty of interesting landmarks whether it’s the majestic Hacienda del Patron or the seaside town of Valle del Mar. Sadly, the number of interesting sights in an average playthrough felt less while on the move. "If PlayerUnknown’s Battlegrounds was a mod, it would be one of the best ever made. 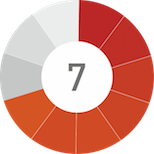 As a full-scale release, it has a long way to go yet." As an experience, especially with multiple players, PlayerUnknown’s Battlegrounds is a fairly tense ride with some exciting moments. 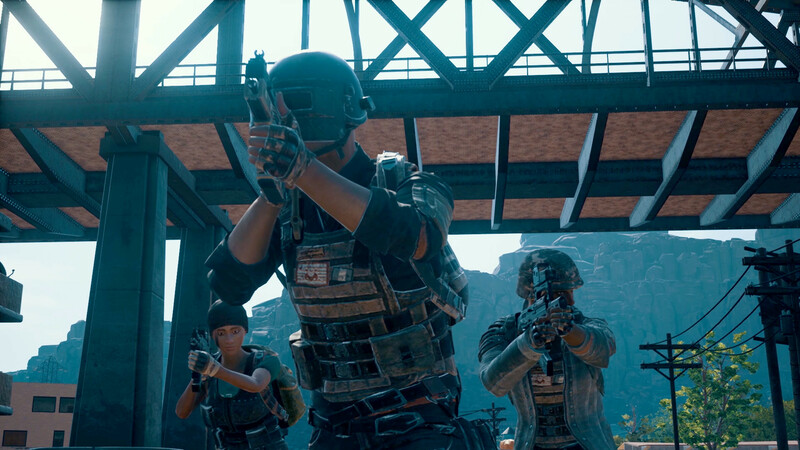 You’ll spend a lot of time just exploring the map, running around and finding players to kill – a problem which manifests itself more in Miramar than Erangel. It’s not too hard to hit the top 25 players surviving without encountering a single enemy and just running around for 20 minutes straight. Also, once you get past that initial tension, the shortcomings of PlayerUnknown’s Battlegrounds The Game start to creep up on you. Though the developer has been quick to address issues with the game since its launch, which was punctuated by server troubles, severe rubber-banding, lag and whatnot, PlayerUnknown’s Battlegrounds still feels like a product in need of more polish. The movement and shooting are acceptable but nothing special. The animation quality is also just fine as is the environment and character modelling (though there’s a substantial amount of pop-in when traveling or flying across the maps). Everything looks and feels well enough but it’s nothing that immediately leaps out in terms of fidelity. That goes for both the visual and sound design. Sure the realistic approach works well but there’s a lot of work that still needs to be done. Also, that odd glitch that makes it seem like other players are floating in the air before a match starts gets weirder every time I see it. With version 1.0, Bluehole has made a lot of effort to add quality of life features like a death cam, a much better looking UI and replays. However, the core experience feels like it needs more. More maps, more varied modes, ranked play, daily missions, weekly milestones and just a lot more polish as a whole. Why is the grassy land showcased when I’m loading the game? Why doesn’t it go directly to the menu? Why am I allowed to rejoin a match when I die? If PlayerUnknown’s Battlegrounds was a mod, it would be one of the best ever made. As a full-scale release, it has a long way to go yet. "If you want the tension of trying to rise above 99 other players through any means necessary, hounded by the urge to survive, then PlayerUnknown’s Battlegrounds is a solid point of entry." It’s not fair to judge PUBG simply on the basis of the experience or what mechanically makes up its gameplay. As a whole, the game is fun with a simple yet addictive hook that takes time to truly master. However, as a whole, I can’t help but feel there’s a lot more that it should be doing. There’s so much story-telling potential and while we’re getting that in terms of the watercooler moments that players make for themselves, a more over-arching narrative to it all or at least some kind of lore would have been great. It’s not a knock against the game’s current state but something I definitely would have loved to see. PUBG may ever come close to the brutality that Battle Royale, both the film and manga, seemed to personify for so many years but it doesn’t have to, instead choosing to stand on its own identity. If you want the tension of trying to rise above 99 other players through any means necessary, hounded by the urge to survive, then PlayerUnknown’s Battlegrounds is a solid point of entry. As a whole, PUBG is greater than the sum of its parts and despite performance issues, graphical problems and overall polish required, it’s still a rollicking good time whether you play solo or with a group of friends. Fairly solid gunplay and movement. Erangel is well made. Gameplay as a whole offers numerous possibilities for straight up shooting, survival or a mix of the two. Simple gameplay hook that's still very addictive. Still requires a fair bit of content and polish. Animations and presentation could be clean up a bit more. The odd few bugs here and there. Graphical pop-in at times. Some key features yet to be added. Miramar. PlayerUnknown's Battlegrounds is a great primer into the world of Last Man Standing. Those hearing the name “Battle Royale” and expecting a bloodbath of dramatic proportions might want to temper their expectations and try it out first.